This robust and stable portable garage with statics protects your vehicle from wind and bad weather. 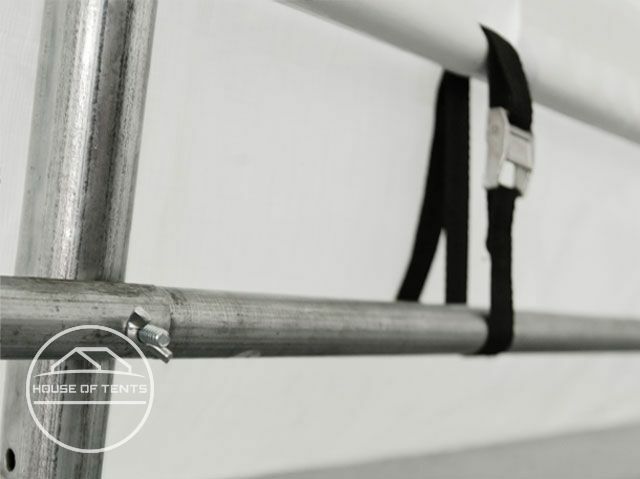 It features a stable, fully-galvanised frame and a strong, continuous, approx. 550 g/m² PVC tarpaulin, which is tautly fixed to the construction by a rope system. 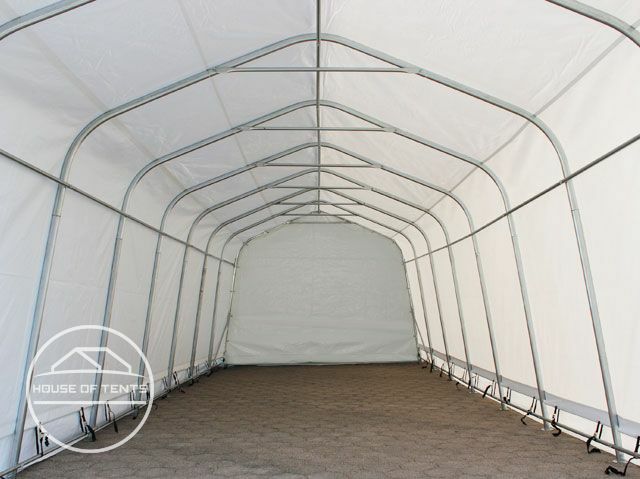 The portable garage provides high UV protection and is 100% waterproof. The entrance features zip openings for quick opening and closing. Integrated ventilation windows ensure effective air-circulation to prevent condensation. Ready anytime, anywhere - even in autumn and winter. Wind and bad weather don't stand a chance! Stable construction, easy assembly due to a high quality, durable click system. High Safety: These statics have been calculated by German engineers, Members of the acknowledged VBI Association. Anchoring is included, you may select between anchoring for Soil/Soft ground or Hard/Concrete surfaces. Seamless roof section - an important criterion for additional stability. Please refer to the assembly instruction in the static handbook - particularly the wind and snowload upper limits. Please check regularly whether the halls/carports are still correctly assembled. We recommend, as a precautionary measure, regular removal of snow from the roof. The specified values of gale forces and snow loads only apply separately and shall not occur jointly.